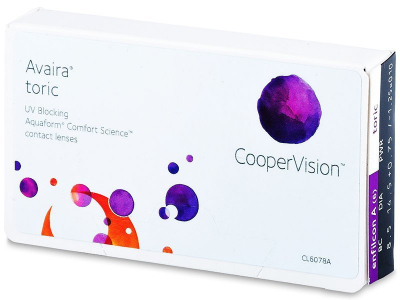 Avaira Toric contact lenses are produced by CooperVision to correct astigmatism. They feature embedded UV protection and have a high level of oxygen permeability for increased health and comfort. Aquaform technology helps keep lenses moist throughout the day. Avaira Toric are bi-weekly contact lenses manufactured by CooperVision to correct astigmatism. 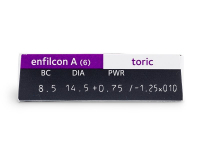 Avaira Toric lenses are made from a silicone-hydrogel material known as Enfilcon A, which has the ability to maintain a stable water content. This package contains six lenses. The lenses have a light blue tint for easier visibility and handling. Avaira Toric are also available in a package of three lenses. Hi can avaira toric base curve be changed? I have 8.6 on my prescrip. Hi Stan, the Avaira toric parameters for base curve and diameter are standard from CooperVision, and therefore cannot be changed. 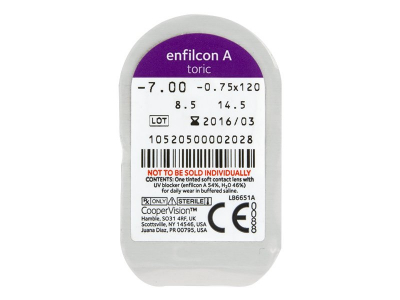 Generally, a difference of less than 0.2 mm will not cause any noticeable difference in your comfort and vision, but if you are unsure, you may wish to consult with your optician. Hi. Can these lenses be warm one month at a time? Hi Ross, thanks for your question. The Avaira Toric replacement schedule is 30 days. 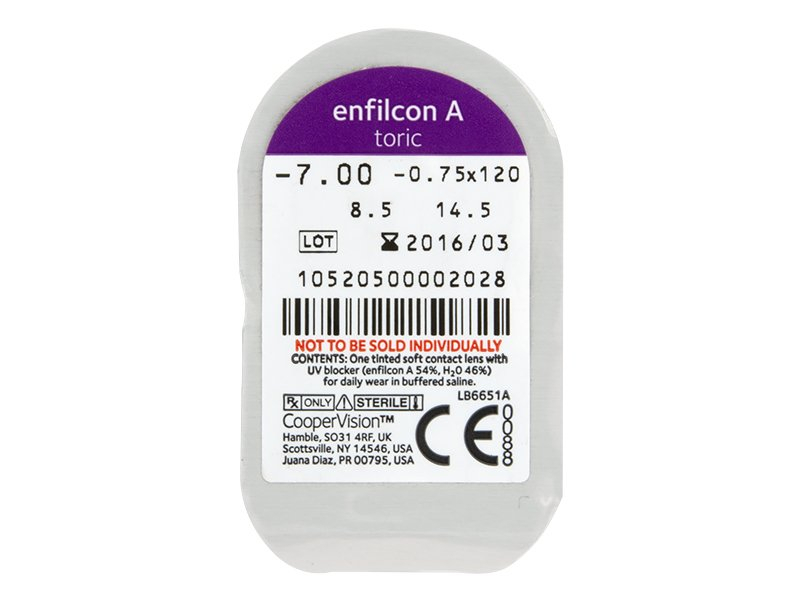 The lenses are not approved for extended (overnight) wear, so they should be removed and stored each evening and discarded at the end of the 30-day period. I am currently wear Proclear toric from Cooper-vision with bc 8.4 and dia 14.4, but these lense are quite a bit cheaper. I am not sure if Avaira toric parameters will be suitable for me, though. Can you help? Hi Sara, The BC refers to the base curve of the lens, and the DIA refers to its diameter. It's always best to check with your optician if you have questions about these measurements, but experts say that small differences (up to 0.2mm difference) will not be noticeable in the eye. The description says these are bi-weekly lenses. Is this correct or are they monthly wear? Dear Kirsty, These lenses are bi-weekly, exactly as it is written in the description.